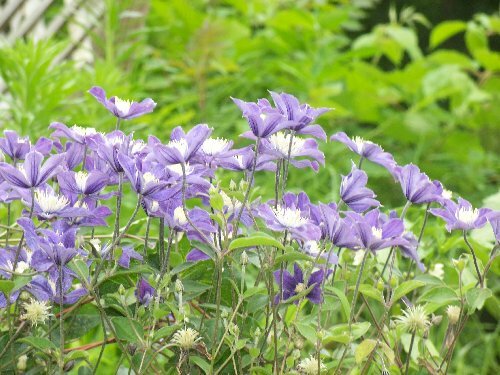 Arabella Clematis: flowers for a long time. long period of time and we think this one is a keeper! Plant with a gold leafed spirea - a delicious combination!